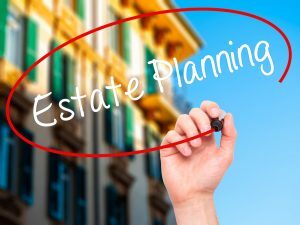 Estate planning goes beyond just planning for taxes; you need to have specific goals for your estate plan, such as whether or not you want to encourage your children to be entrepreneurs and carry on a family business, how you may be able to support your grandchildren with regards to educational goals and whether or not there are specific charities you would like to support. Answering these questions may be difficult because many people find it challenging to contemplate their own mortality. However, this can help you to frame your estate plan and even to practice your first meeting with an experienced estate planning attorney in New Jersey. It can also generate valuable discussion opportunities among family members who are in different generations. If you find that it is difficult to find such discussions, you may schedule a consultation with an estate planning lawyer first and walk through the different ways that your goals can be articulated to your loved ones. One of the best ways to bring up your estate planning options to your loved ones is to talk about your legacy. As a legacy, you will want to pass on your personal property and other assets to loved ones and other entities. But your legacy also helps to ensure that the philanthropic approach and general approach towards hard work or saving over the course of your life can be passed down to future generations. No matter the reason, these are all well worth discussing and considering in your estate planning’s goal setting stage.